In a few weeks, Dominica's Ministry of Health will observe its 14th Drug Awareness Month, in January 2017, and officials will again call on the apparently deaf general public to make greater efforts at curbing the use, sale and abuse of illicit as well as legal drugs, like alcohol. Meanwhile, many countries around the world are galloping ahead towards the decriminalisation of marijuana. Unfortunately, the truism that when the United States of America sneezes Caribbean countries catch the flu is relevant to the movement to legalise marijuana. Hence, Dominican society must note that a few major developments have occurred in the United States in relation to the unending war on drugs. Here are the facts. In December 2013 Washington State celebrated the legalisation of marijuana cigarettes. Now Washingtonians 21 years and older can legally light up in public or eat buns and cake or drink tea laced with ganja. In January 2013, Colorado became the first American state to fully legalise the drug. Other states quickly followed. In fact, Wikipedia is reporting in 2016 that in eight states, Alaska, California, Colorado, Oregon, Massachusetts, Maine, Nevada and Washington, the sale and possession of cannabis is legal for both medical and non-medical use. 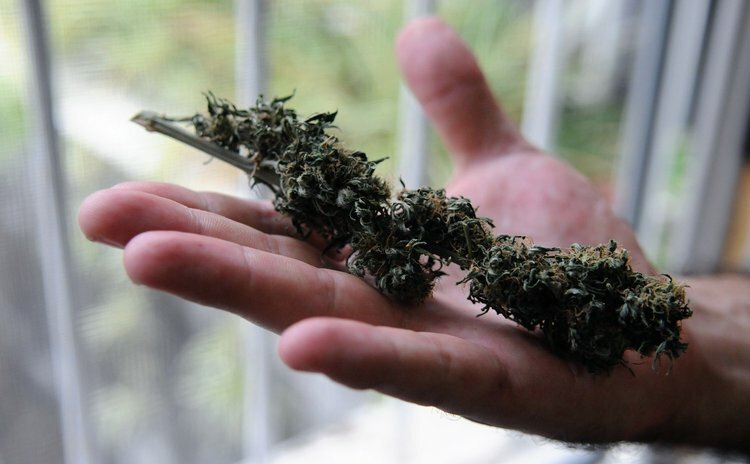 In the Caribbean, there have been renewed calls for the legalisation and export of marijuana. In November 2016, St Lucia's government said it was planning a series of town hall meetings to discuss the decriminalisation of marijuana. In 2015, CARICOM formed a committee to examine whether marijuana should be legalised in the region. But you know CARICOM- things take forever to be acted on in that institution and so we wait patiently. In Jamaica, even the conservative Gleaner Newspaper has been suggesting that the government must seriously consider the commercial production, sale and export of marijuana. In an editorial dated December 7, 2012 entitled: "Allow free trade in marijuana", the Gleaner opined that Jamaica should be positioning itself to capitalize on these developments in the US and to take advantage of Jamaica's reputation as ganja country. "There is no doubt that the Jamaica brand is hot," the paper stated. "Ganja could find a niche, like Blue Mountain coffee." The Gleaner had the audacity to suggest that the national export agency, JAMPRO, should encourage ganja product development and lobby the US to end its prohibition of the trade. Additionally, Gleaner columnist Dennis Quill suggested, in an article that he called "See it deh now", that many Caribbean countries seem to be taking note of the Colorado law and are reacting with changes of their own. Guatemala, for instance, had proposed the decriminalization of certain drugs and the Uruguay government passed legislation in 2013 that allows Uruguayan residents to sign up to grow plants at home for personal use. Given the poor state of the economies of regional states, you can almost hear leaders like Ralph Gonzales of St. Vincent and the Grenadines, as well as Rastafarians, whisper: "Thanks, Jah". This reminds us that eccentric local politician, Pappy Baptiste, for many years now has been shouting in his yellow megaphone, as he drives around Roseau in a yellow car, that if Dominicans were to vote him into government his first act would be to allow the cultivation and export of ganja. We've been laughing at Pappy all along but, in retrospect, he seems to have seen the future. Unfortunately, when the minister of health addresses the nation on the opening of Drug Awareness Month in early January he will speak about drug abuse but he will ignore the fact that there's a world-wide trend of the legalisation of marijuana, as if Dominica is immune to international trends. Instead the health minister will stress the prevalence of drug abuse among young people and label it a public health concern. But there is much evidence to support that view. For instance, Pernel Charles, a research specialist of the Inter-American Observatory on Drugs has concluded that Dominican secondary schools are the leading institutions in the Caribbean for alcohol abuse. Charles' research, conducted in 2006, also indicated that 80 % of students frequently abuse alcohol and marijuana. What is more, the statistics show that Dominica is the leading country in the Caribbean, surpassing Jamaica and St. Vincent, where the drug is grown abundantly. Undoubtedly, Dominica's economy has become extremely dependent on the drug trade. It is common knowledge that millions of dollars in illegal foreign exchange continues to flow into the economy despite the tightening of money laundering laws and stricter banking practices. But the economic benefits of drugs are not as worrying as the societal impact of the trade. In many parts of our nation drug dealers are socially acceptable; there is no stigma associated with the practice anymore. Society, therefore, is losing not only the supply and demand aspects of the war on drugs but the psychological one as well. Because of the hopelessness of the drug situation, experts have questioned our policy on drugs. Synchronized with America policy, the war on drugs in the Caribbean has meant forced restrictions and military action against sources of supply. These experts argue that that policy keeps drug prices extremely high and thus market forces will dictate that criminals will risk anything to gain large profits. Because of the failure of the policy, sociologists, in particular, have suggested the adoption of the Dutch approach to drug control which places restrictions on both supply and demand while permitting a liberal approach to soft drugs. It means, therefore, that although prohibitive measures are in force, low priority is given to possession of small quantities. The focus is placed on medical care for the users and severe punishment for the merchants of drugs. We, therefore, argue that our current policy on drug control and consumption has failed miserably. We must change our focus and it is time to consider alternative ways of tackling the problem. Like St. Lucians we need to talk, at least, about what we intend to do about the legalisation of marijuana. Because, whether we like it or not, America has sneezed. Maybe Drug Awareness Month is a good time to start the discussion.